Every year, I get excited to see the new holiday candy come out. New types of old favorites get the kids' - and my own - mouths watering. I was going to wait until after Turkey Day, but since I'm so excited and no one else seems to be holding back their Christmas decor, we might as well get this going. A few years back in 2015, Reese’s came out with trees and there was some social media concern, or maybe ridicule, that they looked like blobs or maybe something not quite as nice to talk about as a blob. Ok, it’s a turd. People said it looked like a turd. To Reese’s credit, they polished it well. 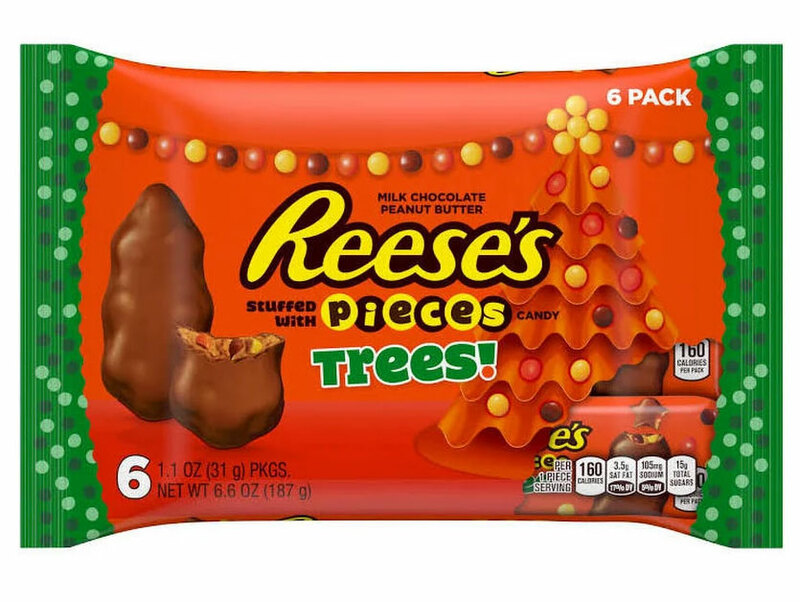 It’s 2018 now, and Reese’s is stepping back up to the forest line with an all-new tree – this time stuffed with Reese’s Pieces and more tree-like in shape, allegedly. I call this a win. There’s no such thing as bad publicity and if you can build on it and turn it around you can even polish a turd …twice. 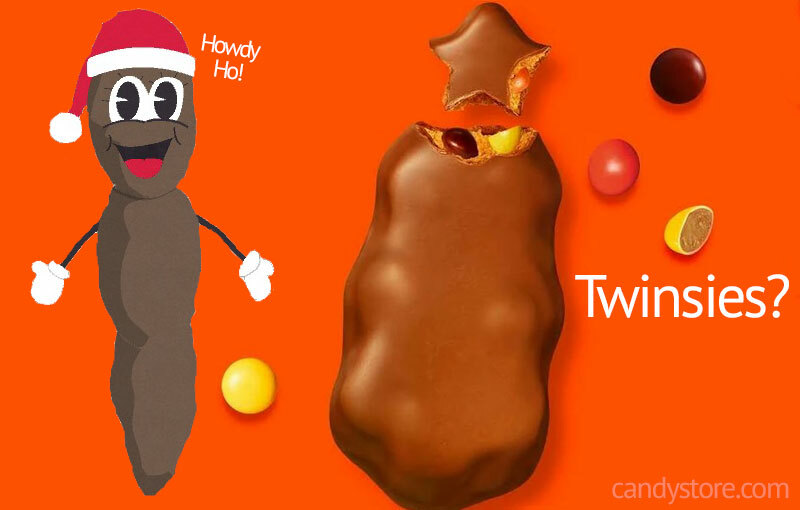 Howdy Ho, Reese’s! Mr. Hanky approves. There are so many different types of Peeps now, the Peeps haters don’t know where to start. Pancakes and Syrup Peeps? Yup. 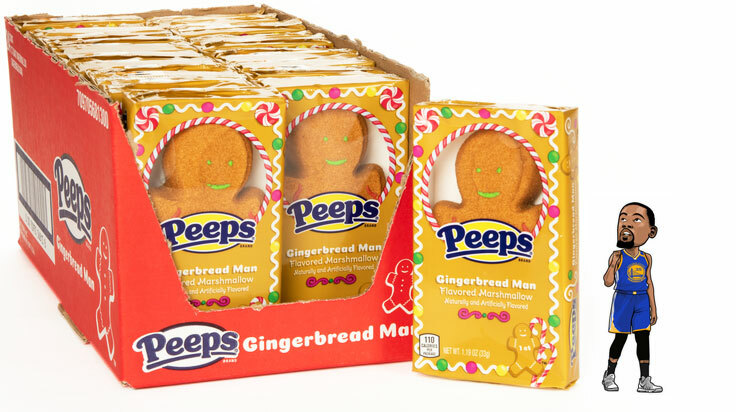 So it’s no surprise to see Holiday Peeps, but still I think the new Giant Gingerbread Man Peeps are nice to look at and appropriate for their brand. Part of the appeal of Peeps is the cuteness factor, people like to play with them. And these larger gingerbread peeps – the regular-size have been around a few years – make them big enough to have more fun with. So, even though I personally think Peeps are grody, this clearly not outside their wheelbox or whatever the sports people say. If you like Peeps for eating or creating fun dioramas, these check a lot of boxes. At 4-inches tall, the giant version of these Peeps Gingerbread Men can do a lot of heavy lifting, metaphorically speaking. Other holiday Peeps available this year are: Regular-sized Gingerbread Men, Peeps Snowmen, Peeps Hot Chocolate Chicks, Peeps Chocolate Mousse Reindeer, Peeps Peppermint Bark Chicks, Peeps Christmas Cookie Chicks, and the Peeps Christmas Trees. Do you like candy canes, but tired of that same old peppermint flavor? Do you wish there were a new, intriguing flavor that incorporated your 3-year-old’s favorite food? 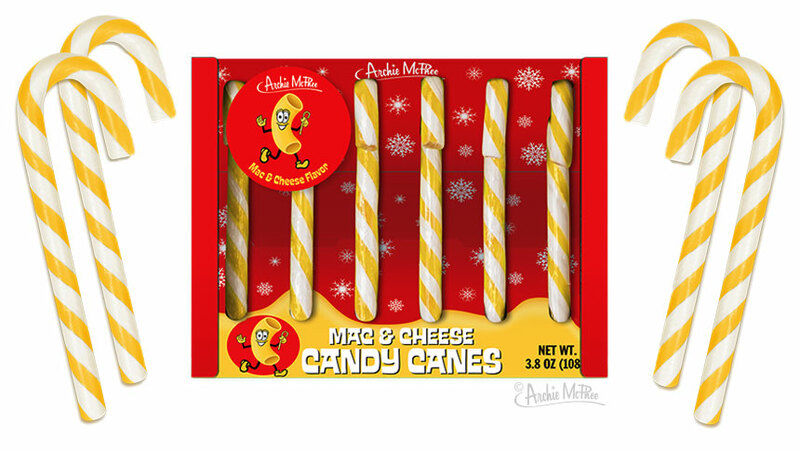 Look no further that McPhee’s Mac and Cheese flavored candy canes. Not a misprint. Mac. And. Cheese. They are the latest funky flavor from McPhees. I have yet to personally try them yet, but I’m pretty sure I’m allergic. Results pending a return phone call from my nurse practitioner. That’s not the only funky flavor candy cane they make. How about: Rotisserie Chicken Candy Canes, Pickle Candy Canes, Coal Candy Canes (“Smoky cinnamon”). These are actually pretty good. Sometimes seasonal variation can be a little bit of a stretch, but not this. Hershey didn’t try too hard to make their Hot Cocoa Kisses more than they need to be. They make Kisses already, which are made of chocolate, so there’s your cocoa component. Now they just need the other critical ingredient for hot cocoa, marshmallows. Again, they already make Kisses that are filled with things like caramel. So, here they have filled them with marshmallow creme. There are lots of good laws in America. The one that made Kinder Surprise candy illegal is not one of them. Resist! Even though Americans are still forbidden from the innocent pleasure of Kinder Surprise, as of Jan 2018, we can enjoy Kinder candy too! The good folks at Ferrero (Kinder’s creator) created Kinder Joy. It’s a brand for Americans that packages the surprise toy separately from the candy so as not to run into that pesky U.S. choking-hazard protection law. Not quite as joyous, Kinder Joy, but we are a law-abiding people. So yeah, there is a Winter Kinder Joy Egg. We expect to see more variations in 2019, as this was the first year for Kinder Joy. If you happen to be in the UK this holiday season, whether it’s to enjoy the Brexit debacle or smuggle Kinder Surprise candies back for festive black marketing, you are in luck. There are 2 new Kinder Surprise candies out this year. Kinder Surprise Santas and Kinder Surprise Eggs Winter Edition. The toys inside these are alleged to be winter-themed and fun, perhaps utilizing penguin characterization and in some cases stamps, or other movable, fun toy-like things. Yeah, this isn’t strictly a holiday candy per se. But it’s coming out this month and it looks ama-zing. They’re putting Reese’s pieces inside a Hershey Bar. Why is this only happening now so late in my life? I could have been enjoying this since the 80s. Can anyone get E.T. on the line for comment? 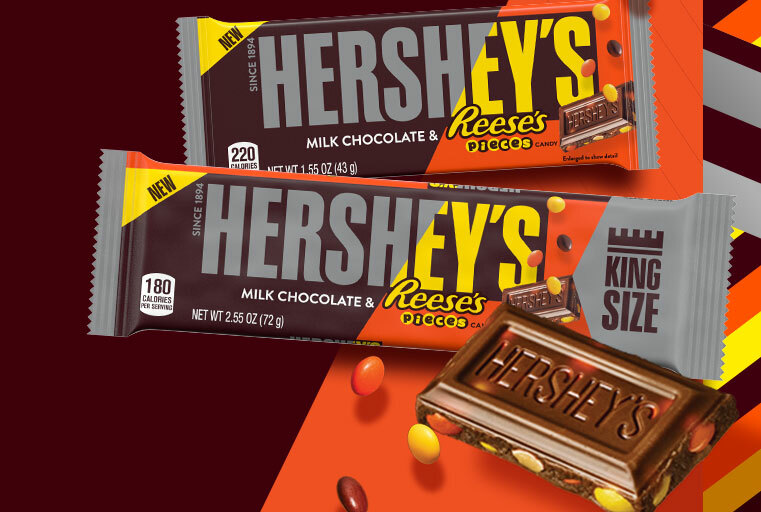 Hershey Milk Chocolate Bar with Reese’s Pieces. Available Late Nov 2018. Since we’re on a roll with Reese’s now, I would be remiss to not mention the controversial new product from Reese’s that’s being rolled out in Spring 2019. 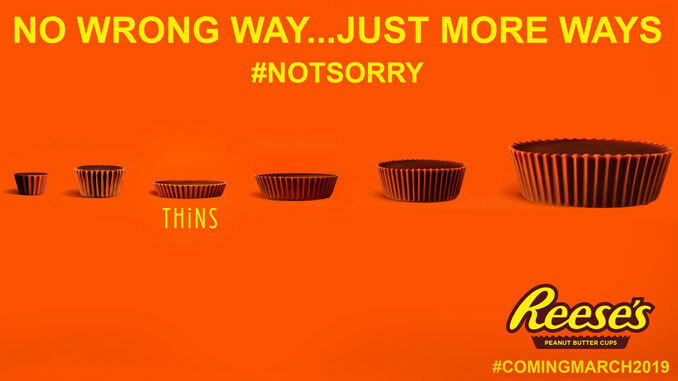 Reese’s Thins. While the name of this product hits two of my top life aspirations (eating more Reese’s while staying thin), the reality shook me to my core: They’re making Reese’s Cups thinner. Yes. They’re taking away some peanut butter from the middle and making it thinner. That amazing candy that is the #1 highest voted Halloween candy. It’s truly upsetting, but comforting to know I’m not the only one who is upset. It’s not technically new, but it is a new year, and mentioning the 2018 Reese’s Advent Calendar brings my blood pressure back down from my Thins rage. 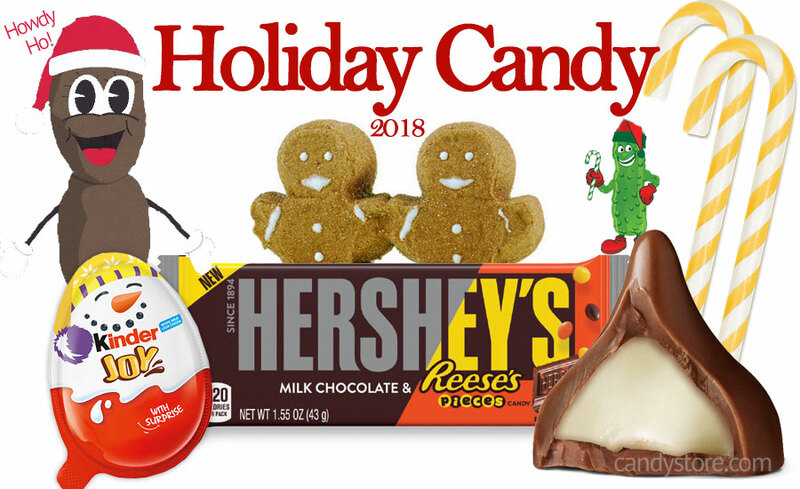 Philadelphia Candies makes amazing candy and treats that you might consider for Christmas presents. These chocolate-covered creme-filled “sandwich cookies” (cough, Oreos) in particular are festive and delicious. They have fun little stockings or stars or trees on them and an authentic look and feel that goes well with your ugly holiday sweater, in the best of ways. Philadelphia Candies is located in Hermitage, Pennsylvania and has been doing this for a long time (founded 1919), but this version is new in 2018.